Remember the first time you read “LOL”? Maybe not.. 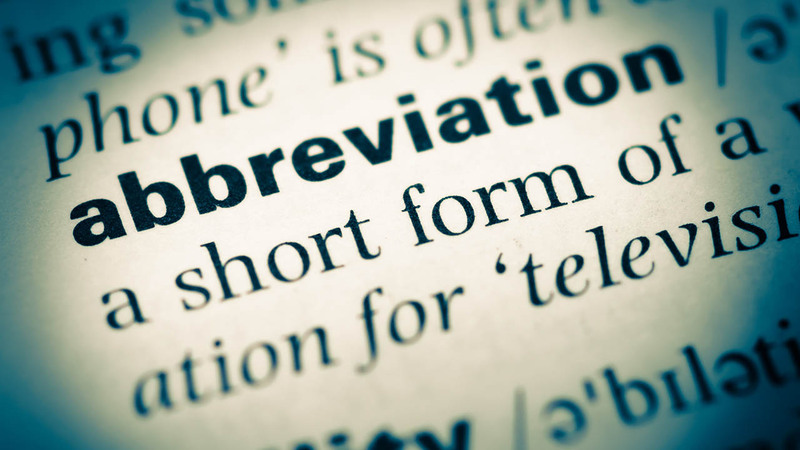 But surely you can relate to seeing or hearing an abbreviation you are unfamiliar with. It can really put the brakes on a conversation! If you’re talking about real estate technology and website development, you are bound to experience that again, but you’ll be less susceptible if you’re familiar with these 6 abbreviated terms. Ok, this one is obvious. If you’re a REALTOR, you probably don’t need me to tell you what a Multiple Listing Service is, but it belongs in this list all the same. There are thousands of MLS associations across the US, and each of them is responsible for their own database of listing information. Selling a home? Better upload some nice photos and a catchy listing description to your MLS! IDX connects MLS listing data to your website. It’s what sets your website apart from a low-tech wordpress blog, or many of the other affordable website options that are suitable for businesses outside of real estate. Without IDX, your website is not much more than an online business card, but with IDX integrated into your website, you can tell your clients to forget about Zillow and Trulia, and do their home searching on your website instead. Higher-tier real estate website providers will even provide a CRM that lets you track your clients’ home search activity. SEO is all about getting new website visitors. You optimize your website for search engines so that your website appears in search results when people search for terms like “homes for sale in Sacramento”. The better your SEO, the more prominent your placement in search engine results. Higher placement means more clicks, more new visitors, more leads, and ultimately more business for you. A “call to action” is some sort of element or mechanic of your website that prompts a website visitor to do something. A pop-up that says “sign up for unlimited access” is an example of a common CTA. Higher-tier real estate website providers often display some sort of CTA while visitors are viewing homes. CTA’s are very effective at increasing lead generation. This is not a real estate abbreviation, but rather, a website development abbreviation. HTML is the standard programming language for web pages and it’s the foundation of every website in existence. While you need not know how to write HTML, every website owner should know what HTML is. CSS is another website development abbreviation. It’s a programming language that is essential for “styling” HTML and making things look “pretty”. HTML and CSS alone can make an impressive-looking website, and they are both essential programming languages for website development.